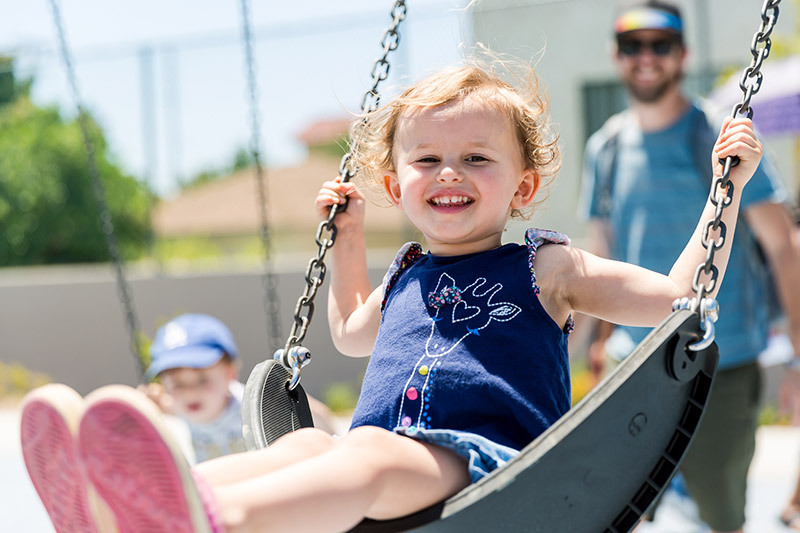 Located in the city of Hawthorne, Bicentennial Park is a park renovation transformed unused and run-down tennis courts into a lively neighborhood park. The neighborhood where the park is located is very dense and consists primarily of apartment buildings and multi-family housing units. Almost 20,000 people live within a 10 minute walk of the renovated park. Community outreach identified the many community priorities for the site including new water play area, picnic area, and large playground, basketball shooting court, fitness equipment and grassy lawn. The project is a partnership between The Trust for Public Land, From Lot to Spot and the City of Hawthorne.